During older times, the inhabitants of ecozone of GHNP evolved their knowledge through interactions with natural ecosystems. Perhaps there was no need of conservation education during historical times because people practiced conservation as a way of life. 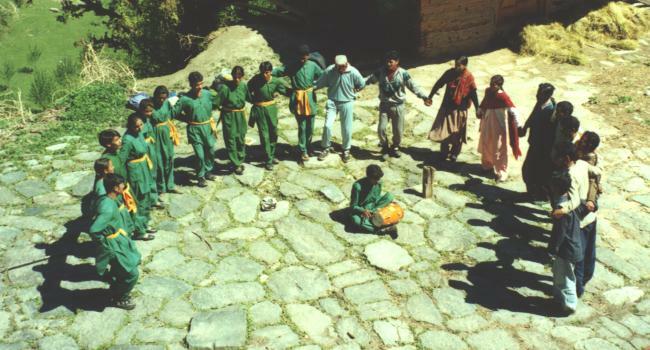 The folksongs, folklores, rituals, traditional lifestyles, local architecture represent the harmonious relationship between man and nature. 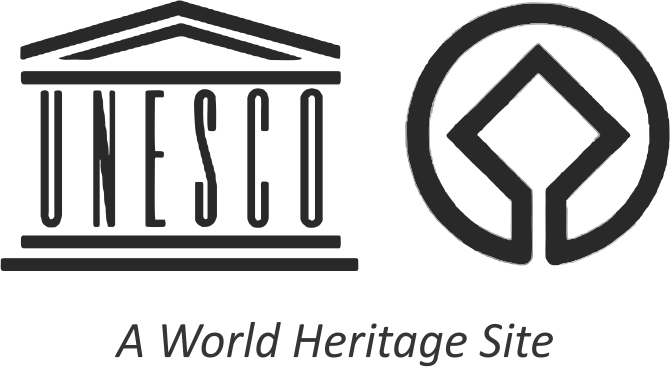 • Helping visitors develop awareness, appreciation and understanding of the area. • Making the visitor’s experience enjoyable. • Achieving Park management goals. • Building support for the GHNP. • Creating awareness and concern for endangered species and ecosystems. This exposure visit of villagers and officials from the GHNP ecozone enthused the villagers for the protection of wildlife in GHNP. The Conservation Education programme at GHNP aims at helping the visitors of all ages, to understand the complex interaction between man and nature. It develops awareness, knowledge, skills and commitment so as to result in responsible behaviour, and constructive action. For Park managers such a programme facilitates the informed decisions. The success of Conservation Education programme depends in rousing interest in protecting and conserving the resources of the area. 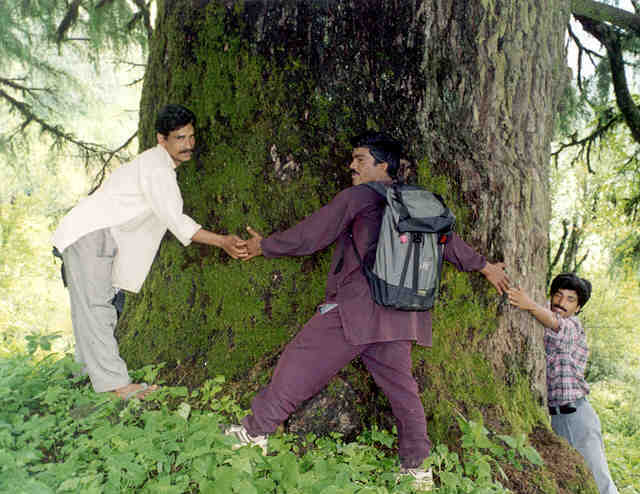 Villagers take a great pride in demonstrating the outstanding trees in their vicinity. The Park administration is collaborating a Community Based NGO Organisation, BTCA, in the buffer zone of GHNP in providing services regarding Conservation Education. BTCA’s guides accompanying a trekking party try to bring in a sense of curiosity of everything around. 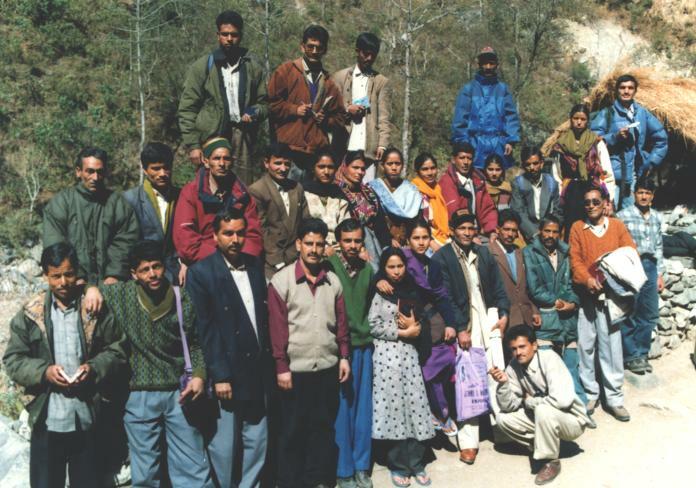 A provision of Conservation Education facilities such as information centres at Sai Ropa and Larjee signage, biodiversity trail at Sai Ropa, and guided tours is being made. Effort is being made by the Park administration and BTCA to make the womenfolk of the ecozone partners in the conservation effort. The Women Saving and Credit Groups are educating their members and husbands on the Park’s role in nature conservation. Many are involved with income generation activities working with the Park administration and the local NGO, BTCA. 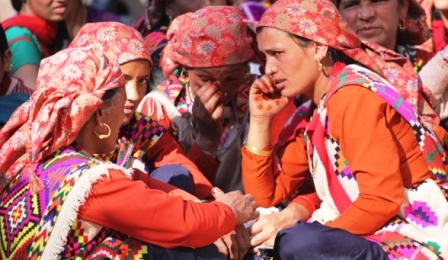 When women sit and talk, they divide the task in SMALL-SMALL STEPS. Such a PROCESS facilitates DECISION MAKING by a group of WSCGs. Many women prefer to work in the nurseries located in the ecozone of the Great Himalayan National Park. Local daiety (god) is at the center of conservation education of villagers in GHNP ecozone. 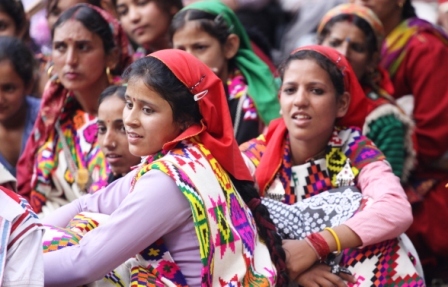 Local women participate with their full enthusiasm in nature celebrations such as Wildlife Week in Oct. They need to be given many such opportunities for a successful conservation education programmes in GHNP ecozone. 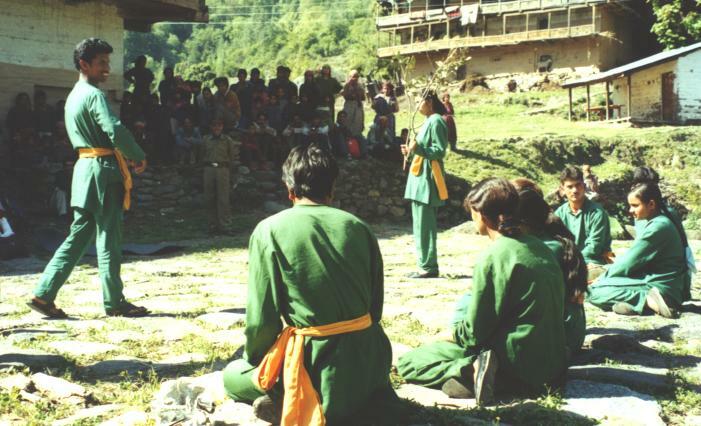 A Kala Jatha street theatre group, initially trained by Friends of GHNP in 2001, and with the continued efforts of Park and BTCA, has taken roots in the ecozone area. The theatre group remains almost always active in the villages trying to sensitize the local people about wildlife protection, their participation in the alternative income generation sources offered by government or non-government agencies, and promotion of social and cultural activities including adult education. Kala Jatha performers write their own scripts, song, and music, that are lively and often funny. Villagers frequently chime in and dance and sing with the performers. The popularity of Street Theater (Nukkar Natak) shows a lot of room for the conservation education in GHNP ecozone. 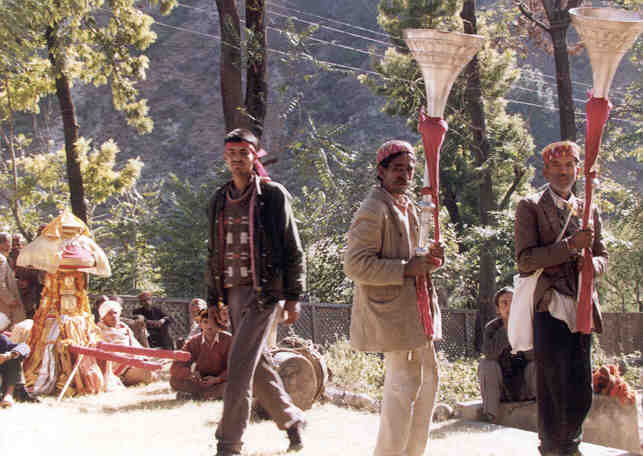 Each Street Theater show concluded with the participation of villagers and guests in local nati (dance).